Being able to sound smart at a party is an essential life skill, right there with knowing how to change a tire... or being able to call AAA to change the tire for you. And since we're gonna bet you'll be at a party sometime within the next few days (or perhaps you're currently staring at your phone trying to avoid eye contact with everyone at a party), we wanted to give you some fun things to say when you're standing around drinking beer. 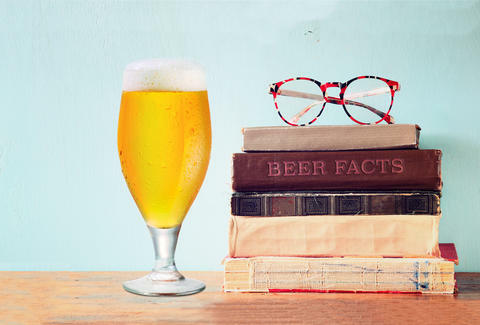 Drink in these random fun facts about beer history, brewery names, Oktoberfest, and a whole lot more -- all of which will enable you to sound smarter at parties. A single-hopped, dry-hopped West Coast IPA before there was such a thing as West Coast IPAs (remember, this was first released in 1975), Anchor's Liberty Ale still features Cascade hops. Perhaps the only way the beer's changed in the last 40+ years is that it's currently available in cans. 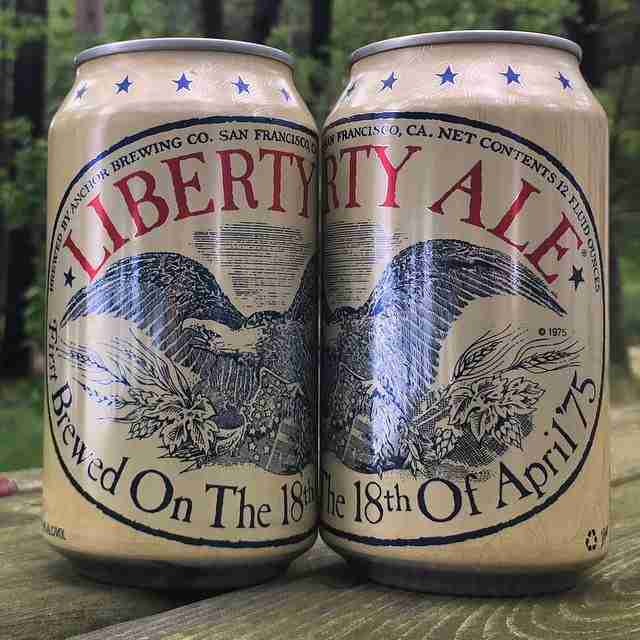 And obviously the high watermark in the existence of Liberty Ale is that it was selected as one of America's 25 essential IPAs. Before a guy named Krueger terrorized suburban children (and me) in their dreams, there was a brewery with the same name in Newark, NJ that teamed up with a canning company to package Krueger Special Beer. Sadly, that beer had only a 3.2% ABV, which means it could have been around 7% more delicious. But that's all the law allowed back then. Bless your lucky stars you're alive in 2016. Despite the fact that you're more likely to see Schlitz in a can out in the wild than a bottle, back in 1911, things were different. The Milwaukee-founded brand was the first to block out the sun via a brown bottle, which keeps your beer as fresh as possible until you pour it into a glass. Schlitz also invented the tall boy, likely to ensure that people would have something fun to carry around in tiny paper bags. It seems impossible that Nevada would be out-drank by any other state, considering how much booze is consumed solely in Las Vegas (NV came in seventh place), but if the US had a drinking competition, North Dakota would drink more beer per person than any other state. Each resident drank 43.6 gallons of the stuff in 2013, according to 24/7 Wall Street. New Hampshire and Montana came in second and third place, respectively. 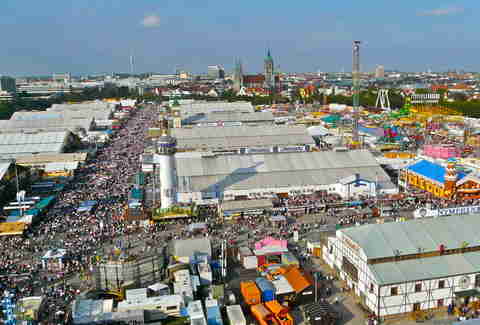 The fact that Oktoberfest is held mostly in September is one of those head-scratchers. But one thing that makes perfect sense is that in a little more than two weeks from mid-September to October in 2015, Germans and beer-loving tourists from all over the world drank 7.3 million liters of beer during the Oktoberfest celebrations. And we're sure there's not a direct correlation between all that beer being consumed and 180 missing passports being turned into lost & found at the fest. And a singular wheelchair, CNN found. It's not often obvious what your favorite brewery is named after. For example, Dogfish is not named after the sea creature named dogfish. It's a place in ME where founder Sam Calagione spent his summers... and that place was named after the sea creature. But we digress! Smuttynose is named after an island off the NH coast where a double murder happened in the 1870s. Plenty of other brewery names aren't obvious either, so we compiled a bunch of our favorite backstories. Homebrewing is a cornerstone of the craft beer movement in the US. Many homebrewers are encouraged by their success brewing at home, and open up microbreweries. And some of those microbreweries become billion-dollar companies. The outdated laws in MS and AL might explain why this hasn't happened yet in those two states. But that all changed in 2013, thank heavens. Perhaps those states will soon legalize dancing and rock 'n' roll. Considering that Anheuser-Busch is a global beer-making conglomerate, it shouldn't be surprising that it employs a ton of people. But what might be surprising is that the craft beer industry in total employs over 121,000, which is still fewer people than just AB, at over 150,000. And that doesn't even include the hundreds of its employees that are horses. People can read these days -- after all, you're completely dominating this story on beer right now. 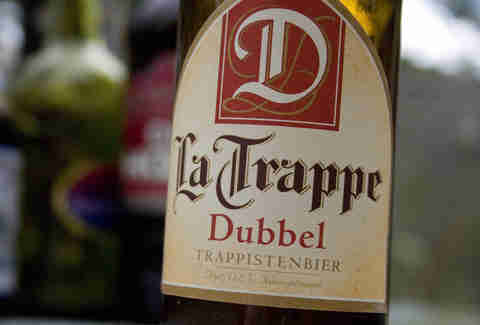 But back when the Trappist monks began producing beer, they needed a way to help differentiate between how strong the beers were. And since they couldn't write "This Beer Will Make You Feel Real Good, Real Fast" on the barrel, the theory is that they marked select beer with two X's to show it was twice as strong as the beer marked with a single X. Funnily enough, the beer style isn't all that strong compared to the types of beers consumed today: between 6.25-7.5%. Pretty sure the brewers behind Rolling Rock were just huge Larry Bird fans. Like Larry Legend, the beer is sheathed in green and has a 33 on it. End of story. Rolling Rock itself presents 11 different theories as to why the 33 is there. Among them: the "founding members of the brewery bet $33 on Horse 33 and won," or the fact that the beer is brewed at 33 degrees. We think it might be because the Latrobe brewery was bought in 1933. Just a hunch. Washington wrote down a recipe for "small beer" in a notebook he kept during the French and Indian War way back in the 1700s. Turns out this beer was the garbage stuff the servants would drink, which makes sense because the recipe requires three gallons of molasses. Not exactly the first ingredient you think of when it comes to good beer. While TV seems to be the primary place for companies to advertise for beer today, it was a new technology back in the '40s. Television was the Oculus Rift of its time, if you will (but with decidedly less adult programming). 'Gansett became the official sponsor of Boston Red Sox games in '45 (for free! ), and other brewers followed suit in the late '40s, sponsoring other baseball teams, according to Beer History. Years later, Narragansett hired legendary comedy duo Nichols and May to create an ad for the company -- and it holds up. The world's best-selling beer is... Snow? 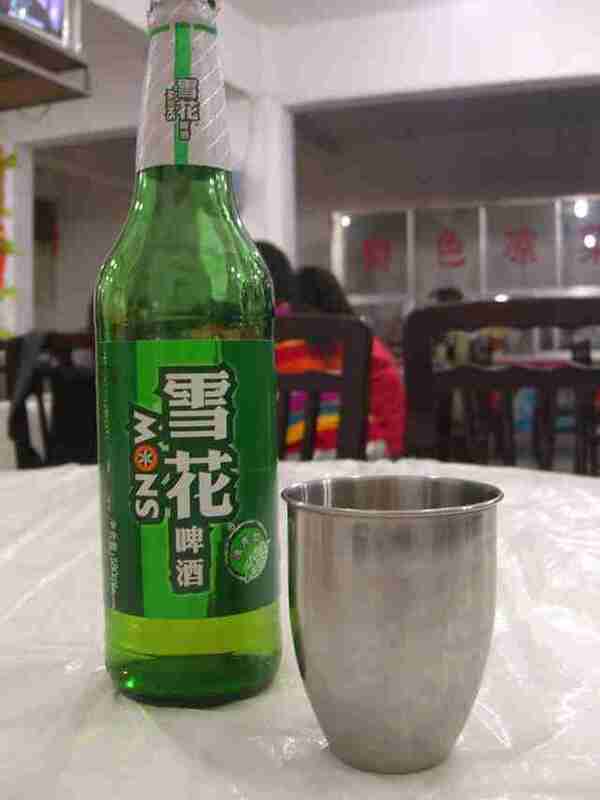 Snow is the name of a beer brewed for the Chinese market, and it's cheap: 49 cents for a can, according to Quartz. Perhaps not surprisingly, since there are over 1 billion people in China, it's also the world's largest beer market by volume. Sadly, our theory that it was named after the dude who sang "Informer" has been proven false. During Prohibition, people were prescribed "medical beer"
"Medical beer" was an obviously made-up cause that "brewers, physicians, and imbibers" used to try to skirt Prohibition's nasty laws in 1921, according to Smithsonian.com. It worked, and doctors could prescribe beer as of March 1921... until November 1921, when Congress changed their minds and banned it once again. And no one ever had a beer ever again in the United States of America. Allsopp's Arctic Ale sold for over $5k in the UK, and it got that name because it was brewed in 1875 for an Antarctic expedition. The idea was to create a "life-sustaining ale" for the crew -- though when you think about it, isn't every beer life-sustaining? The London Beer Flood of 1814 occurred when barrels of porter flooded the poor (literally) neighborhood of St Giles Rookery. According to The Independent, the brewers weren't charged, as the jury considered the accident an act of God. 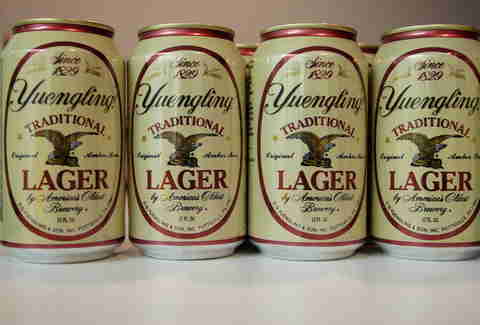 Yuengling, a staple of East Coast beer drinkers since 1829, is also the largest craft brewer in America, as of 2015. Rounding out the top five are the brewers Boston Beer (Sam Adams), Sierra Nevada, New Belgium, and Gambrinus (Shiner). The lesson here is that if you want to one day own a huge craft brewery, you should go back in time and start one at least 30-40 years ago. All it takes to chill a beer is ice and salt in a bowl, and stirring it. It's that simple. Who needs a freezer? Seriously, throw your freezer away. Ah crap, you'll probably need that to make the ice. We haven't thought this through enough. For even more beer hacks that will change (the beer-drinking part of) your life, like learning how to disguise your beer as a soda can, we've got you covered. For the people/Sumerians lucky enough to live in Mesopotamia in 10,000 BCE (it's located around where Iraq is today), there was beer to drink! None of the beer included hops, which means it probably didn't taste that good, but according to LiveScience.com, people had their pick of eight different barley-based beers, and eight wheat-based. You already learned that beer was around 5,000 years ago, but did you also know it was around 150 years ago? It's true! And Honest Abe had some severe budget issues way back then, because fighting the South did not come cheap. It also turns out that many of the German and German-American soldiers drank German-style lagers from American brewers in between literally fighting for their lives. All About Beer writes that non-German soldiers also seemed to enjoy the beer and "drove the number of breweries in America to a peak in the 1870s" -- just over 4,000 breweries -- a number that was only recently eclipsed. Lee Breslouer is a senior writer for Thrillist, and wishes he would've opened a brewery before he was born. Follow him to more beer facts: @LeeBreslouer.